Would you like to schedule a visit from Santa? 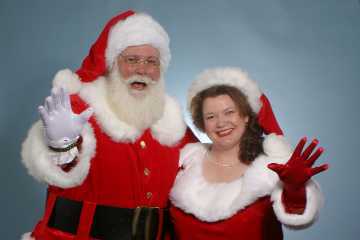 How can Santa bring the Christmas Spirit to your party? Contact Mrs. Claus and we'll get back to you as quickly as we can. Please send an email to Mrs. Claus for any requests or quotes. It would also be helpful if you included your contact information and any details about your event.